Krystle Flower Design is a florist based in Kent which has been established since 2005.
servicing London, Kent and surrounding areas. Welcome to Krystle Flower Design. 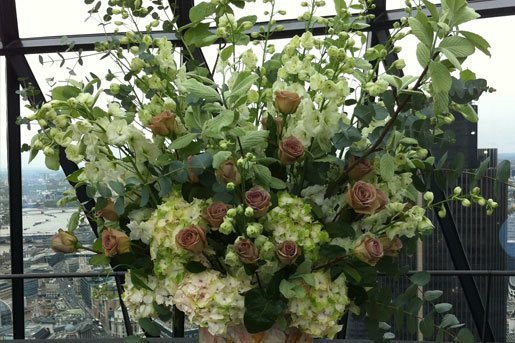 We are commercial florists offering a variety of services to our customers in London and Kent including office flowers, corporate flower displays, reception flowers and luxury flowers. 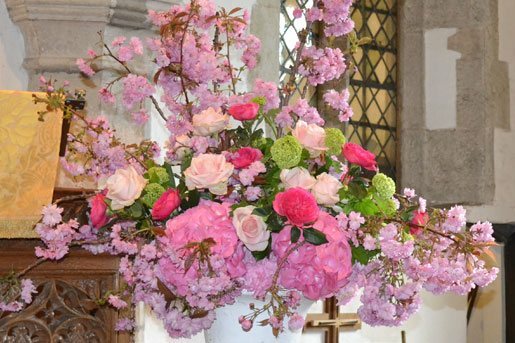 Based in Kent, we are able to source a range of beautiful flowers for our local suppliers which we then transport on a daily basis across the county and into the city of London. We have years of experience and even though we have been doing it for over 20 years, we still enjoy the simple pleasures of colour, beauty and scent that flowers can bring to a working environment. As well as creating a focal point in your reception area, flowers can add some much needed colour, a pleasent scent and a feeling of calm. A fresh display of flowers can show your customers that you care about the details and indeed about them. A small change to your office can make a big difference. There's nothing quite like the small but significant effect that walking into a reception area or an office and seeing a fresh and colourful display of flowers. We have many customers who we have worked with and built a close relationship over the years. Whether they are keen for us to work with them to create stunning seasonal displays to suit their latest promotions or whether they would prefer to leave it up to us to create something unique on a daily or weekly basis, we are happy to help. 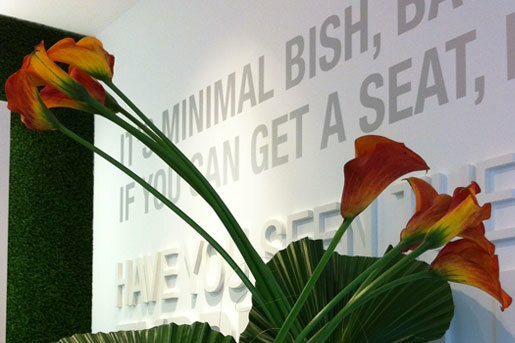 We consider ourselves a luxury florist, offering tailored and unique displays to our customers. Our displays range from elegant vases of flowers to more permanent plant arrangements often used in reception and office areas. Our focus is on quality and value. As well as beautiful flowers, we also use elegantly designed glassware that we will rotate on a regular basis to add an extra element of style. We will always encourage you to talk to us and get us an idea of what type of display you would like. Our gallery shows many examples of our work that may help you to decide which colours and style you prefer or you may already have something in mind. We operate daily deliveries across London and throughout Kent. Whether you require a daily, weekly or infrequent display, we will be happy to discuss your needs and work around your schedule. For corporate customers looking to organise an event, we can also help with arrangements for your welcome area, table arrangements or any other floral displays to help make your event stand out. Our stylish arrangements can create a pleasant and welcoming environment for your reception areas, show apartments, conferences, exhibitions or corporate events. We take the time to get to know you in order to discover your passions and tastes and work with you to create a floral decoration that is perfect for your big day.